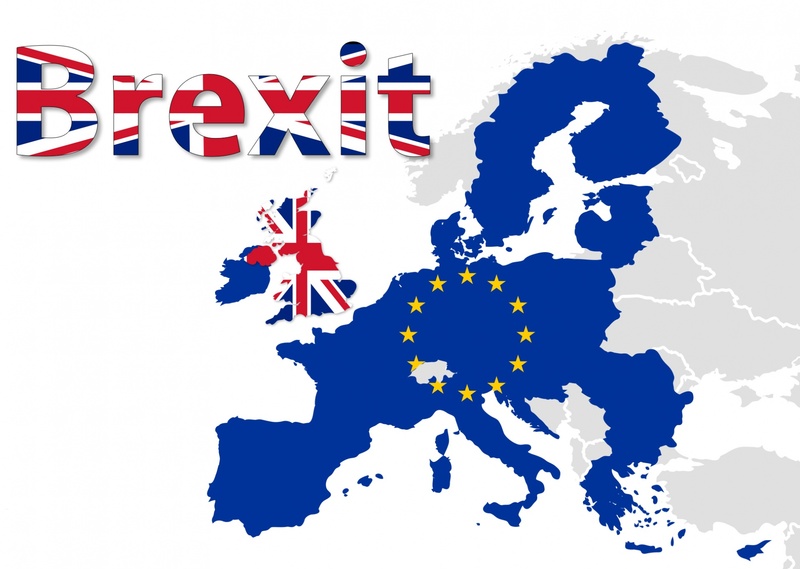 The UK today announced the tariff schedule it would intend to apply in the event of a no-deal Brexit after 29 March 2019. As far as agricultural tariffs are concerned, Gail Souter, the UK National Farmers’ Union Chief EU Exit and International Trade Advisor, described it in a tweet as “Quite possibly the greatest example of overnight trade liberalisation of an agricultural market ever”. There has been a lot of speculation in the press and social media about what the new arrangements might mean, and particularly the proposed temporary arrangements on the border between Ireland and Northern Ireland. This post sets out the key sources of information and guidance published by the UK government today. In a later post, I hope to explore the implications for agricultural tariffs and trade, and evaluate the implications of the proposed arrangements for the intra-island of Ireland border. The relevant documents are mainly found on the UK Department of International Trade (DIT) website, with some additional information (press releases) on the GOV.UK news site. The DIT collection Customs, VAT and Excise regulations if the UK leaves the EU without a deal has a section on tariff regulations with links to three set of documents. This page includes a link to the proposed UK Tariff Schedule, a hefty volume of almost 1500 pages and a download of 21 MB. It is designated as Version 1.0 and dated 5 February 2019, so was already in existence over one month ago. It is a draft document and the final version must wait until the relevant legislation is approved. Part 3 Annex 1 of the schedule (from page 10 on) sets out the customs classification for goods using the Harmonised System at the 10 digit level – at this point it is not clear if the UK has modified the classification from the EU one in any way (only the first six digits must be common across all countries). Annex II (from page 847 on) sets out the Most Favoured Nation (MFN) duty for each HS commodity code. This page links to a set of files that set out individual product duty rates and preferential rules of origin that will apply under preferential agreements made between the UK and third countries, including Free Trade Agreements. There are two documents for each agreement, the preferential tariff schedule and the origin document. The latter sets out the rules for determining if an imported product is eligible for the preferential rate. Despite the promises of Brexiteer Ministers that rolling over the EU free trade agreements would be a breeze, only the following FTAs are listed currently on this page: Israel, Eastern and Southern Africa, Switzerland, Faroe Islands, Chile, and Palestine. This page links to a file with the product specific Tariff Rate Quotas, which includes the individual product volumes and rates. The following are useful supplementary sources of information published today. The Government press statement summarising the changes is here. This policy paper provides the background to the UK government’s thinking when setting the new applied tariff rates. It explains that the schedule sets the majority of import duties at 0% for a temporary period, of up to 12 months, except for products deemed most sensitive to adjustment costs from international markets or important for strategic considerations. It clarifies that the aim of the package is to mitigate some of the economic impacts to the UK from increased costs of imports from the EU for businesses and consumers. This page lists the countries that will have preferential access under the three GSP schemes – the regular GSP scheme, the GSP+ scheme and Least Developed Countries. Where MFN duties are zero, these preferences are irrelevant. For commodity codes where MFN tariffs are non-zero, then the applicable duty rates are given in the next link. This file only contains products and commodity codes where a non-zero MFN applies; if the commodity code is not listed, then the MFN tariff is zero. It provides a handy way to search for specific duty rates rather than wading through the tariff schedule itself. However, it does not provide the TRQ in-quota duty rates which must be looked up in the link above. Importantly, this spreadsheet also provides easy access to the preferential tariffs applied both to developing countries under the GSP and on imports from countries with which the UK has an FTA. This page provides similar information in a non-Excel format to the Excel spreadsheet above. There is a handy navigation bar which allows direct access to the commodity group of interest (e.g. bovine meat, Sheepmeat, etc). Further guidance on specific aspects of the new tariff arrangements (e.g. the administration of Tariff Rate Quotas) may be forthcoming in the coming days. Picture credit: PublicDomainPictures.net licensed under CCO Public Domain licence.